Lucretia Seales is a New Zealand lawyer dying of a brain tumour. 1. Lucretia was asked in detail about the desired manner and timing of her death. Her response was the same as that of many Exit Members; she wants to die at home after a lovely meal, surrounded by family and her beloved cat. In regard to the timing of her death, she stated that it would be at a time prior to her losing her mental faculties ‘because that is not who I am’. 2. When asked of her end of life options at the current time, Lucretia’s responses focused on refusing food and liquids, in essence starving herself to death. Hardly dignified and hardly desirable. A point she would come back to reference at the end of the interview. 3. In regard to her legal battle, Lucretia spoke about the disjunction between the NZ Crimes Act and the NZ Bill of Rights. She is seeking a declaration to assert her right to choose when and how she dies. She stated it is not the role of the doctor or the family. She wants a framework for people who are terminally ill to die in a dignified manner. This is especially since suicide is not a crime in New Zealand (as is the case for most western countries). Legally speaking, a ‘declaration’ falls within the law of equity. A declaration is a remedy to settle a real legal controversy. A similar approach was taken in the Canadian case of Gloria Taylor where it was held in February 2015 that the criminal laws of Canada had violated the section 7 protections of ‘life, liberty and security’ of the Canadian Charter of Rights and Freedoms. A similar approach was taken by the partner of Exit’s Tom Curran, Marie Fleming, in Ireland in 2013. In that case, Marie had sought a declaration from Ireland’s Supreme Court that under the Irish Constitution where the right to life is protected, so there is a corresponding right to die assisted by others. Marie lost her case. 4. 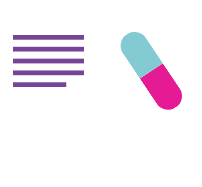 When asked who should have access to life ending drugs, Lucretia replied that it should only be for ‘competent adults’. While this view is understandable, it would mean that a younger person who is also terminally ill would be refused help to die. The terminally ill nineteen year old would have their suffering prolonged. This is not the case in either the Netherlands or Belgium where children now have access to voluntary death laws. It is to the ABC’s shame that the interviewer, Emma Alberici, then tried to tease out whether Lucretia supported voluntary euthanasia for those with dementia or depression, ‘as is the case in Switzerland’ she argued. In Switzerland, the legal model is entirely different. Helping someone to die is not predicated upon a particular illness or suffering. Rather, as long as the act of helping is not done for selfish reasons, the assistance provided is not unlawful. And besides, a personal with a terminal diagnosis is often depressed. Who wouldn’t be. But does this mean they have lost their decision-making capacity? Of course not. And on the issue of dementia, it is only the Netherlands who allows, controversially, an advance directive to include a direction to voluntary euthanasia at a time when capacity is lost due to dementia. Given the increase in rates of dementia amongst a population that is living longer than ever before, and given the concern amongst the elderly of what will happen to them should they be diagnosed with dementia, this is the elephant in the room that few commentators as yet have had the courage to discuss. The ABC would do well to involve themselves in the more rigorous and intellectual aspects of this debate, rather than creating a moral panic of slippery slopes and lack of safeguards. To her credit Lucretia stated that people with dementia should be allowed access to a law. This echoes the 2012 ‘End of Life Choices Bill’ of former NZ MP for Nelson, Maryann Street. No doubt Lucretia was aware of this legislative attempt for change, even though Street withdrew this Bill from the ballot prior to the 2014 New Zealand general election. It was the nail in the coffin of legislative change in NZ that Street went on to lose her seat and is now out of the NZ Parliament altogether. 5. Continuing on the same well-trodden, scare-mongering line of questioning, Alberici continued by asking what sort of safeguards would be necessary to ensure the elderly or the vulnerable were not subjected to ‘intolerable pressure’ to do the right thing and die. The response from Lucretia was that the request would need to come from the patient themselves, the request would need to be repeated, the doctor would need to be satisfied that there was no coercion, and the death was formally reported. These are the exact same requirements that operated under the Northern Territory’s Rights of the Terminally Ill Act 1995. And, under s 13 of the ROTI Act the death was reportable to the Coroner. 6. When asked about the dangers of ‘suicide tourism’ were New Zealand to change their laws, Lucretia rose to the challenge, pointing out that not everyone is lucky enough to be a New Zealander and intimating towards asking why those who are less fortunate should be punished in this way. This echoes the humanitarian approach shown by groups such as Dignitas and Life Circle in Switzerland. Why should a seriously ill person be prevented from accessing a peaceful death at a time of their choosing, simply because they possess the wrong nationality? This view stands in stark contrast to the approach most recently advocated in Tasmania. When that State tried to pass their ‘Voluntary Assisted Dying Bill’ in 2013 where a person would needed to have been resident in Tasmania for 12 months to qualify. Similar residential restrictions apply in the US States of Oregon, Washington and Vermont as well as in the European countries of the Netherlands, Belgium and Luxembourg. 6. Catholic Politicians – According to Lucretia Seales, one of the main factors preventing politicians from representing the wishes of the electorate is because many of them ‘grew up Catholic’. This is a oft-heard argument. Given New Zealand’s active, if quaintly named, ‘Society for the Protection of Community Standards’, she is not far off the mark. This is depsite polls showing that 80% plus support voluntary euthanasia. 7. Seale’s application in the NZ High Court is set down to be heard on 25 May 2015. 8. The rather insensitive final question from the ABC is whether she would contemplate starving herself to death should her application fail. The answer was that the thought had crossed her mind but it was something she definitely did not want to do. And then of course the ABC fall into black comedy, reciting the contact phone numbers of Lifeline and Beyond Blue. Believing the myth that to even speak about the issue of end of life choices, one might be so moved to suicide right here right now. What crap, what wrot. 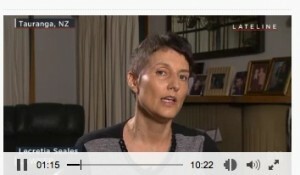 Lucretia Seales is an excellent spokesperson for the right to die. The media should give her the respect her courage to speak out deserves. While Exit is no supporter of the death penalty, we have watched with interest how death penalty-loving states in the US such as Oaklahoma have searched around for other ‘acceptable’ means to kill prisoners on death row. In light of dwindling supplies of Nembutal from European manufacturers, this State has turned its attention to the use of Nitrogen. In early April 2015 the Oaklahoma State Legislative passed a bill that allows Nitrogen-induced hypoxia to be used for these killings. This Bill has since received the Governor’s signature and is now formally law. Nitrogen is not poison, indeed Nitrogen makes up 78% of the air that we breathe. Nitrogen is not suffocation or asphyxiation. It is ‘hypoxia’. Deep breaths of pure Nitrogen will induce a peaceful and reliable death that is akin to de-pressurization on a plane. As long as a build-up of carbon dioxide is not permitted, the person will fall quickly into unconsciousness, just as if they have gone to sleep. Death will follow in a few minutes. It would be hard to argue that the use of Nitrogen for hypoxic death is a form of ‘cruel and unusual punishment’; the argument that is most put forward by death penalty opponents and their legal teams. And one of the few ways the death penalty can be contested under America’s Bill of Rights (see the 8th Amendment). On 10 April, Time Magazine reported that Nitrogen is advocated in the context of voluntary euthanasia (eg. 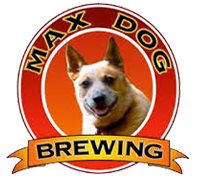 Max Dog Brewing). Paradoxically, they point out, that VE advocates condone the use of Nitrogen for its lack of requirement of medical involvement. It is interesting to note that Oaklahoma considers the same lack of medical oversight a similar advantage also. But back to the issue of Nembutal. Exit is often asked why the shortage when the Peaceful Pill eHandbook routinely documents reliable outlets? The answer must be that the death penalty proponents have focused on human quality Nembutal, rather than its identical veterinary equivalent. There is no scientific reasons for ignoring the veterinary variety of Nembutal. All Nembutal is lethal if taken in the correct doses.